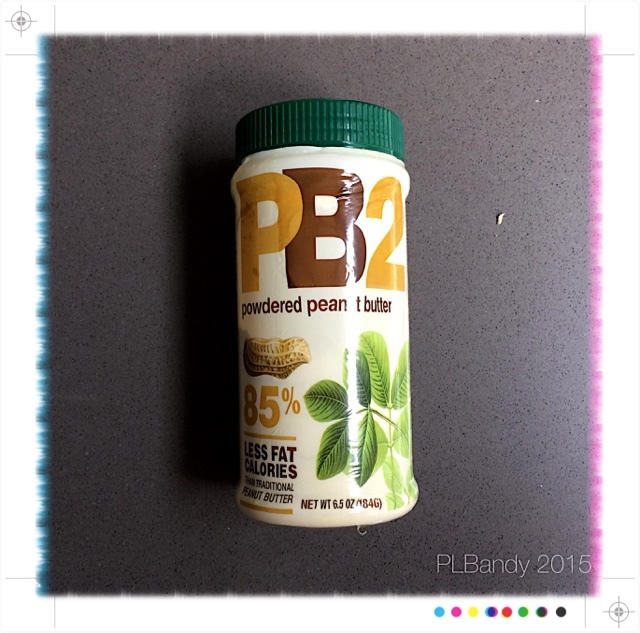 This week's post is a great idea in a small packet and perfect for college and off-campus living! 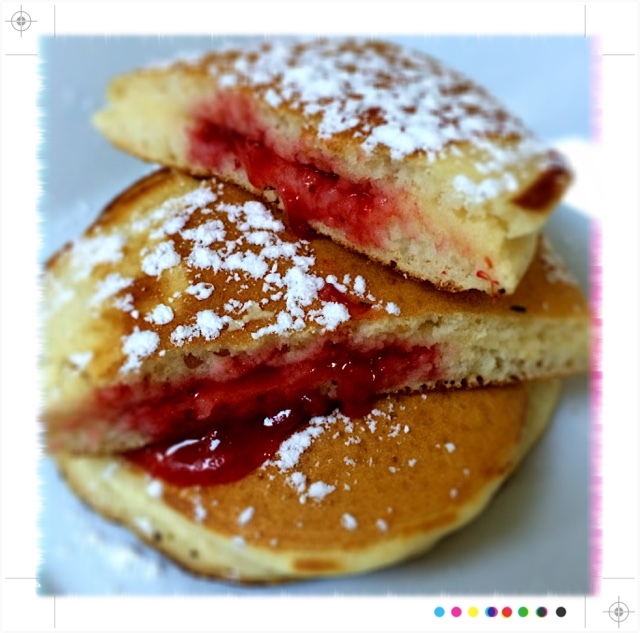 With a little time, on a long weekend for example, you can whip up these Pocket Pancakes for carry-out on your way to classes on Monday morning! College cooking is not always easy with late nights and busy schedules--so, a little prep work goes a long way--especially, if you have a freezer! You can take these pre-made pancakes out of the freezer and re-heat for 2 minutes in the time it takes you to brush your teeth. Ready when you walk out the door. This recipe is adapted from Cooking Light September magazine, which uses a novel ingredient, Peanut Butter powder, to create a peanut butter-flavored pancake--sounds perfect; except, I found the whole wheat and PB powder combo quite dry and saw-dusty in flavor as well as unrealistic for most college students! 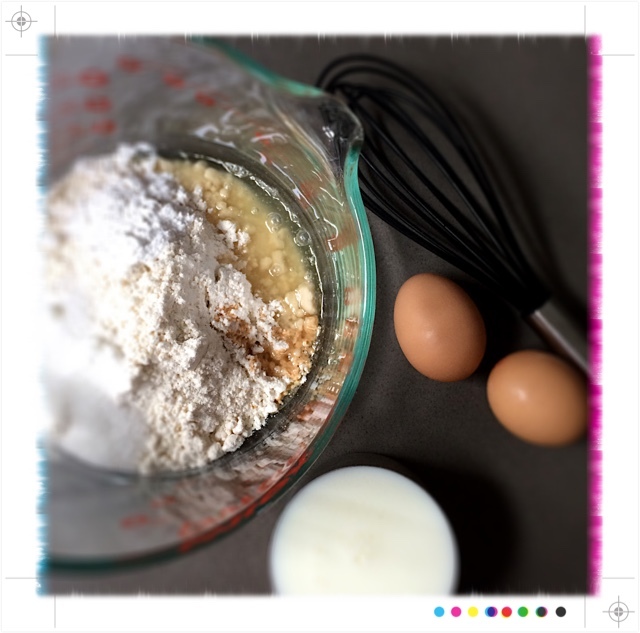 Unless you are using whole wheat flour regularly…money, flour and taste will go to waste for sure! Great concept nonetheless for leftover pancake batter or for the college student thinking ahead. Instead, I focused on revising this whole concept to a cheaper, quicker, and simpler version with Bisquick box mix--an easy option for college cooking. Plus, Bisquick mix is a great staple ingredient for the college pantry--another high-yield grocery item when cooking on a budget! 1. Wash your hands and preheat oven to 350F degrees..
2. 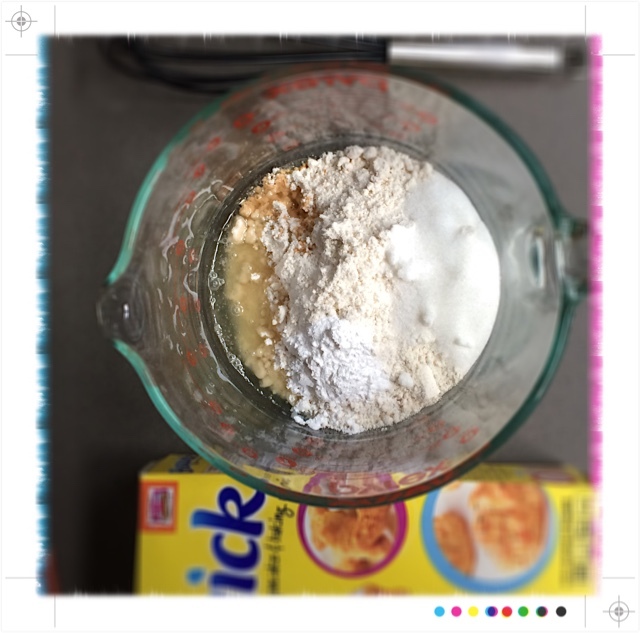 Combine the Bisquick mix, sugar, baking powder, salt, vanilla and vegetable oil in a bowl with a whisk. 3. Add the milk and eggs and combine well. Batter will seem 'thin', but this is ok.
4. Heat your skillet at MEDIUM heat with 2 tsp of butter per round of making pancakes. 5. 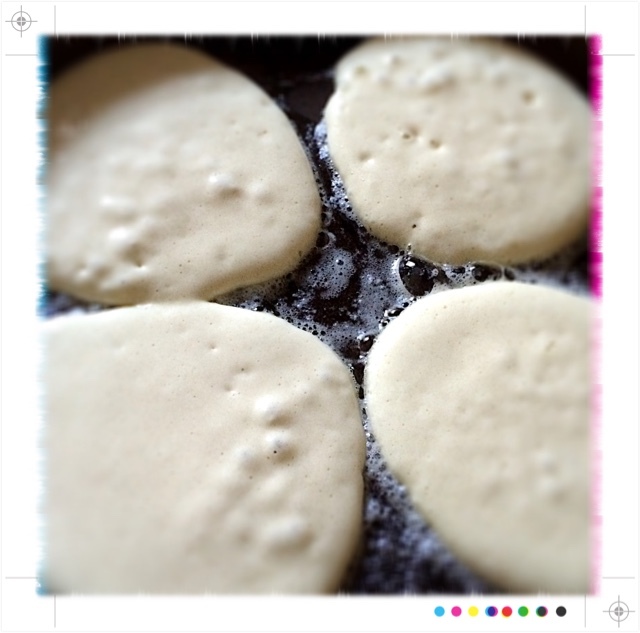 Use a 1/4 cup batter for each pancake and wait for bubbles to appear on surface. 6. 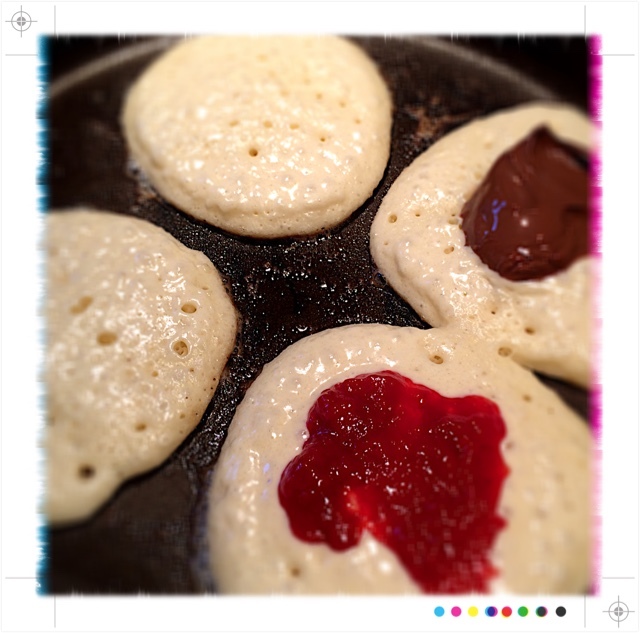 Once bubbles form, add a dollop of jam, Nutella, honey, or PB to the center of 2 of the pancakes. 7. 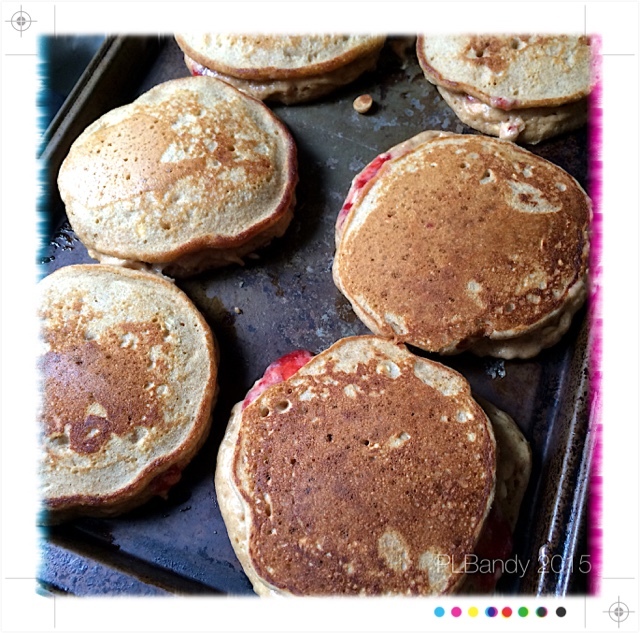 Flip the "empty" or "plain" pancake on top of the "filled" one. 8. 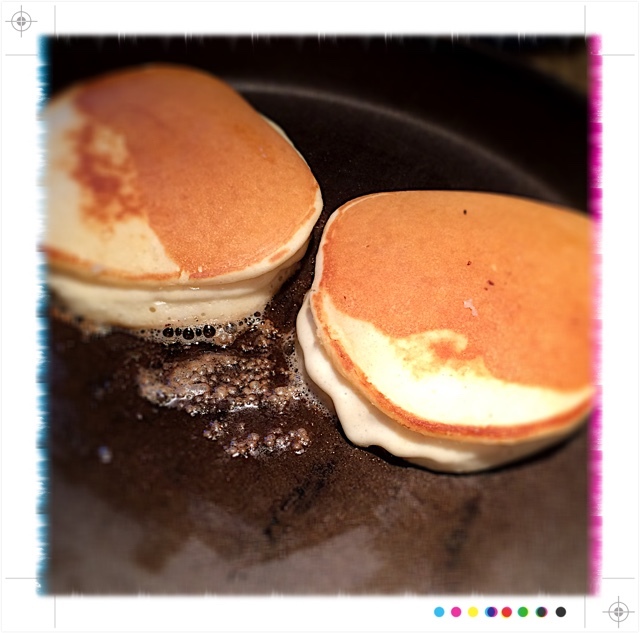 Place pocket pancakes onto baking sheet. 9. Bake @ 350F degrees x 8-10 minutes. 10. Sprinkle with powder sugar and syrup for immediate consumption! --Or, if freezing, allow to cool completely. --Wrap each pocket individually in Seran wrap and freeze in large freezer bag. --When ready to eat, remove wrapping, and microwave for 2 minutes prior to eating! 2. 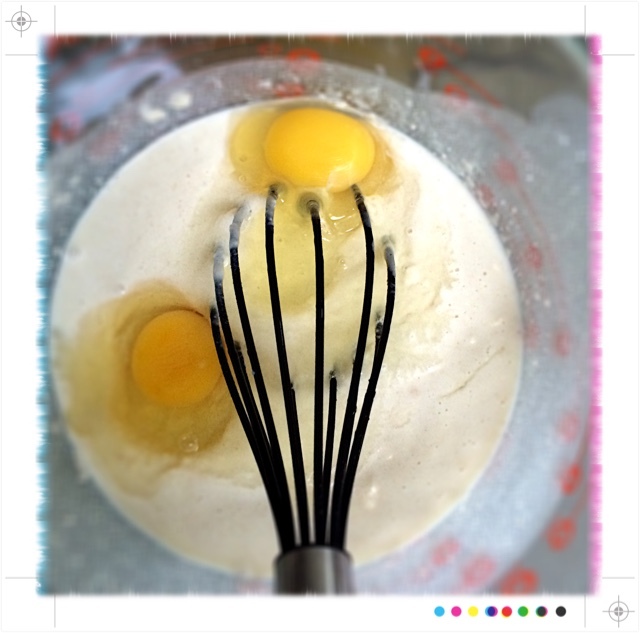 Add buttermilk and egg. 3. Follow same steps as above with batter and filling. 4. Once pancake pockets are made, bake at 350F degrees x 10 minutes.